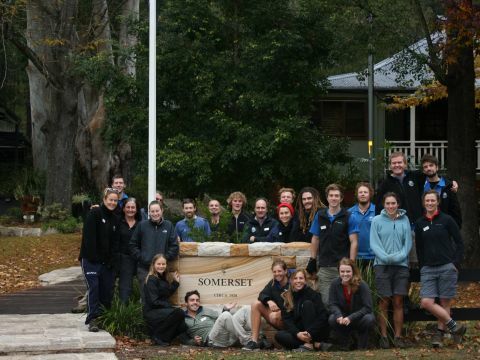 Somerset Outdoor Learning Centre has been offering outdoor programs to school students and participants of The Duke of Edinburgh's International Award (Duke of Ed) since the early 1980's. As an industry leader with over 30 years of expertise, Somerset offers a unique blend of learning experiences, outdoor facilities and activities delivered in a professionally managed outdoor education program. Somerset offers the unique experience of tent camping which presents the opportunity for students to engage with their natural surroundings and spirit of adventure. We provide a fun and supportive framework for students to develop leadership skills and work as a team appreciating the value of friendship within. Our professional, tertiary qualified Group Leaders facilitate engaging fun activities, extending students physical and emotional capabilities, while enhancing self-confidence and self-reliance. Somerset is located about 90minutes North-West of Sydney on the glorious Colo River (known as the last pristine river in NSW). 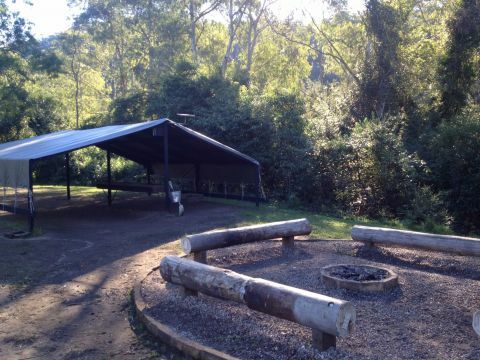 Our Centre operates from a central Base Camp which services over 40km of the Colo valley – a network of more than private campsites, many expedition campsites, hiking and canoeing routes into the adjoining Wollemi National Park and onto the Colo and Hawkesbury Rivers and numerous activity bases. Somerset privately owns more than 600 acres. Groups journey throughout the program area spending nights at a different campsite. Please click below for more information on Our Site and Facilities. 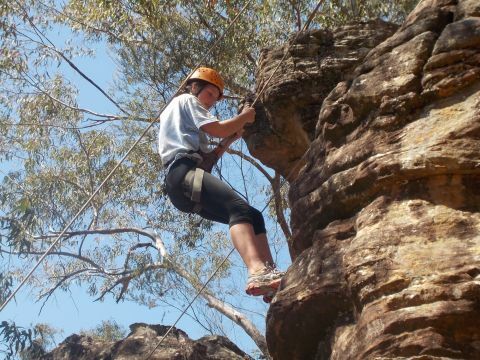 Our program area boasts over 20 activity bases ranging form abseiling and rock climbing on natural rock-faces to our Obstacle Course and infamous Wombat Hole. Our activities can feature throughout the journey with groups completing each pursuit as they move from campsite to campsite. Groups are accompanied for the entirety of the time by one of our tertiary qualified Group Leaders. Together with their group leader and accompanying teacher, groups operate as an independent unit and are responsible to assist in group decisions and in managing their timings, equipment and meals. Groups in-the-field are supported by a designated 24hour onsite program coordinator, our immense support services and our communications network. Please click below for more information on our Programs, Activities, Food and Services, Safety and Accreditation and Staff. Camp Somerset are specialists in delivering customised, journey-based outdoor programs supporting an integrated curriculum to meet individual school and Duke of Edinburgh’s International Award requirements. Somerset programs aim to develop student relationships with the outdoors, and with each other, in an environment that requires initiative, perseverance, adaptability and a sense of responsibility. Our programs provide students with the opportunity to reach out of their comfort zones and embark on positive risk taking initiatives both of which are crucial to their development as they emerge from adolescence to adulthood. Safety, teamwork, decision making and communication are inherent to a successful camp. Our program model is based on a group of students with a Somerset Group Leader and a school teacher operating as an individual unit for the duration of the camp. Groups may interact with others for some meals and activities or may just wave as they pass each other on a bushwalk. We cater to all ages from one-day Kindergarten to Year 2 camp familiarisation programs to seven-day Year 10 expeditions. We can design a program to suit your students and your school’s requirements. We can broadly divide and describe our programs into four different focus areas. 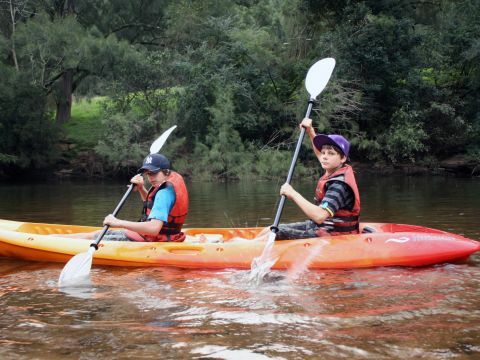 Adventure – Students participate in our ‘close-in’ activities - such as the Wombat Hole, Milk Crate Stack, and undertake ‘shorter’ bushwalks, and canoeing off the beach with overnights spent camping at our camp sites. Students enjoy one or more meals in our dining hall. Groups may also be involved in a cooking experience such as our Wood Fired Pizzas and My Kampsite Rules. Journey – Groups use hiking and/or canoeing as the means of transportation between sites. Students complete activities such as High Ropes, Base Seven en-route with overnights spent camping at our fixed campsites. Groups have the opportunity for a lunch in the dining hall and to participate in our cooking activities. 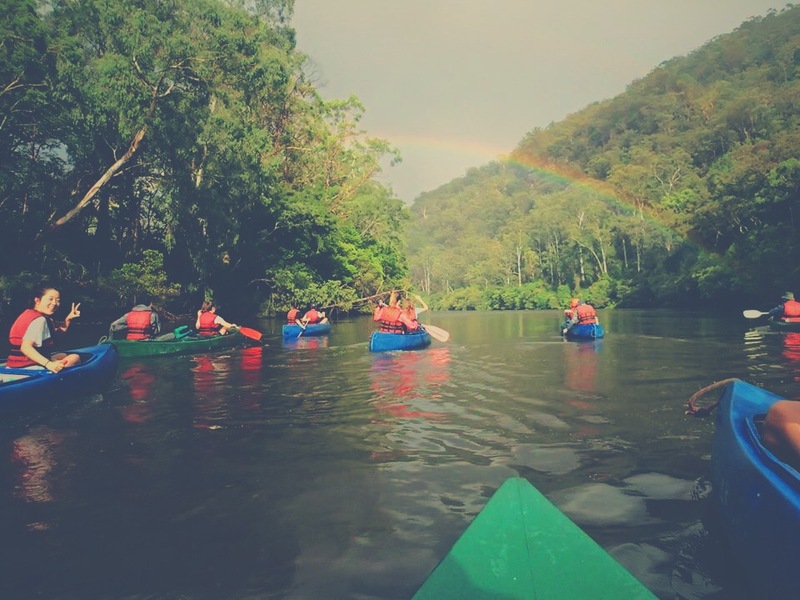 Expedition – Groups incorporate the above attributes of the Journey program but will extend their bushwalks into the Wollemi National Park and canoeing further downstream on the Colo River and into the Hawkesbury River utilising our expedition sites. Duke of Ed - Students complete the adventurous journey component of the Award. Students are involved in mapping, navigation, route planning and campcraft during their expedition. We offer expeditions across all levels - Bronze, Silver and Gold and offer dedicated preliminary training for Bronze. Activities at Somerset utilise the pristine Colo River and its' surrounds. Students develop a sense of responsibility and build on resilience through positive, meaningful activities that are fun and engaging. 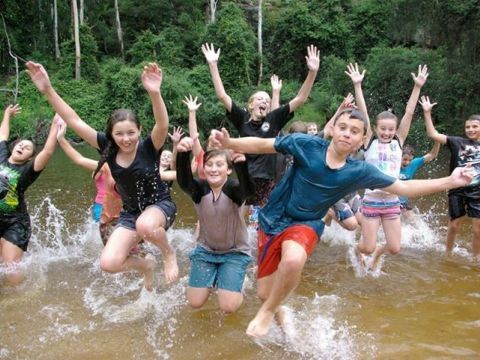 Activities on Somerset programs utilise the pristine Colo River and surrounding bushland to the full. Programs are planned considering the schools desired outcomes and aim to positively engage students in the outdoors. On the Water Somerset is situated on the Colo River, canoeing is either a means of travel between campsites, a programmed activity with skill development, or a short paddle with some games and lots of fun. Groups can also move between campsite floating on tyre tubes down the river, or engage in team activities like Raft Building, and sand modelling on our expansive beach front. Canoeing and Kayaking A gorgeous paddle on the Colo River. Enjoy the sights, sounds and serenity of the last pristine River in NSW. Raft Building Construct a raft that floats and will support the team! Most Groups end up in the River and enjoy a swim too. Donutting A float down the Colo on inflated tubes. A fantastic and refreshing way to travel! Swimming and Beach Games There is ample opportunity daily to cool-off in the gorgeous Colo River or just to relax and feel the sand between your toes. On the Track Somerset has a myriad of established walking tracks and routes criss-crossing our programme area. Walks range from easy and achievable to more demanding and challenging over a few days. "One-the-track" activities can incorporate educational and interpretive content. The nature of walking promotes remarkable self-discovery, spontaneous group interaction and with this, team development. Bushwalk A gorgeous walk into our surrounding bush encouraging students to appreciate the outdoors. Our Group Leaders have an excellent knowledge of the local history, flora and fauna, as well as navigation and topography. Groups carry the essentials like water, snacks and sunscreen in daypacks. Expedition Hiking expeditions provide the means of travel between campsites, activity areas and establish a journey for the program. Groups can carry all, or some, of their equipment including clothing, tents, food, cookers. Our Group Leaders impart navigation, map reading, compass work and route planning skills throughout the expedition. Somerset provides rucksacks to all students. On the Ropes Our Roping activities provide the perfect setting for individual students to extend themselves physically and mentally, and to offer support and encouragement to other group members. Abseiling Students experience a natural rock face nestled in the beautiful bush. Rock Climbing On natural rock for an authentic climb - we have 2 rock climbing sites to suit differing ages and levels of challenge. High Ropes A course set in the shady trees at our Ropes Campsite. Milk Crate Stack How high can you stack? The Team is On it We acknowledge the importance of team building and developing communication skills in any outdoor education program. 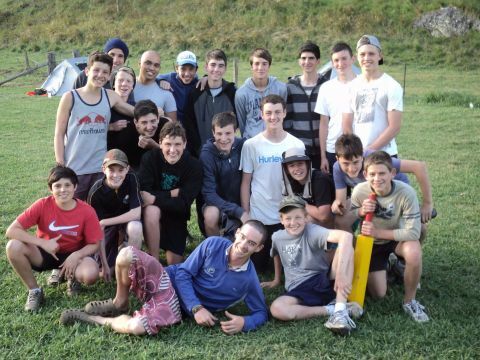 As such, Somerset has a terrific range of team activities to complement any program. Obstacle Course A fun series of ‘hurdles’ that must be negotiated; over, under, across or through! Wombat Hole Crawl in and see if you come out the other end! A fun and muddy activity. Low Ropes Test your balance and perseverance. Great fun, and often amusing. Base Seven Camouflage and stealth activity. River Run The muddier the better! – an obstacle and mud run. Plunge into the river after to rinse off. On the Down-low We recognise the powerful importance of the ‘in-between times’ and ensure that in all programs there is time to relax and reflect. Campfires Toast a marshmallow, or cook damper on a stick. A great chance to chat, (and sing!) and wrap-up the day. Campfires are lit every night and on the chillier mornings. Swimming and Beach Games Our gorgeous river needs to be enjoyed. Swimming is on the schedule every day in the hotter months. Reflection Students are given time to consider the positives and not-so-positives of their day – both at a personal and group level. Bush Relaxing Students will absorb the sights, sounds, smells and awesomeness of the natural world. Cook On Food at camp is fun! We recognise the importance of keeping students energised and satisfied. Groups are involved in all areas of a meal from preparation to cooking to clean-up. My Kampsite Rules From Indian to Mexican inspired meals students are divided into teams and must master their cuisine. Wood Fired Pizzas Students are involved in the pizza making process from dough rolling to eating. Yum! Campsite Meals Picnic Lunches, BBQ, Nachos, Stew – to name a few. Expedition Meals Lightweight and tasty when you have to carry! The quality of our staff sets us apart. You are in safe hands. All Somerset staff participate in both internal and external training as well as seasonal inductions focusing on Somerset values and goals as well as activity briefings, group facilitation, safety management, logistical movements and updates to industry 'best practice'. All staff employed with Somerset are verified according to the requirements of the NSW Working With Children Check. At Somerset we understand the fundamental role of leaders to provide a rewarding and safe outdoor program, as such, our Group Leaders are carefully selected to ensure they deliver the best outdoor experience to all participants. Our Group Leaders are ably supported by our Services teams - Hospitality, Logistics and Estate and by our Administration and Management staff. These behind-the-scenes staff are qualified and experienced to deliver and facilitate the many facets of our operation. 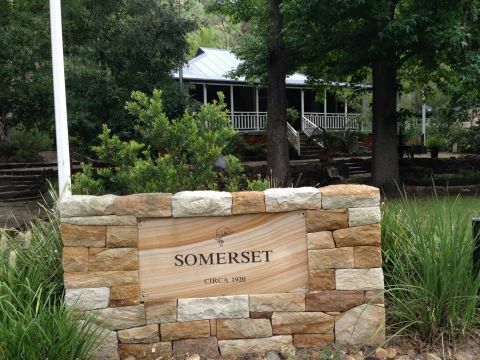 Somerset operates from a Base Camp established on the original acres of land purchased in the early 80s. The Base Camp is picturesque and well-appointed with grassy camping areas, toilets and showers, undercover briefing areas, floodlight fields, a sick-room for sick or injured students to rest, the original Somerset Homestead for use by the coordinating teacher and by group teachers as they pass through, and a dining hall for meals and as a fall-back in extreme weather conditions. Our Operations Office, the heart of our programs, is located at Base Camp and houses our Centre Manager, Program Coordinator and Schools Liaison staff who manage the communications base, program information as well as procedural and policy documentation. On our Base Camp property we maintain an enormous store of equipment including tents, rucksacks, vehicles, trailers, group gear from spoons to chopping boards, campsite gear from pots to BBQs as well as all activity equipment from harnesses to canoes. Our campsites are an integral part of the program and form the essence of the camping experience - we strive to maintain them at a high standard. There are over 15, exclusive private campsites resplendent with a LED-lit shelter, benches, drinking water on tap, campfire circle and firewood, flushing toilets with hand-washing sinks, grassy area for tent set-up and teacher’s-tent platform. All of the campsites are accessible by road. Our Expedition campsites support our privately owned sites providing us the means to extend programs for older groups and Duke of Ed participants. Our Administration Office, based in Waitara, is the centre for our Duke of Ed programming, as well as Financial and Administration Management. The office compliments the Base Camp operations as a support centre for School Briefings and facilitating meetings. When it comes to safety and duty of care, Camp Somerset stands alone. We ensure that your school is provided with the highest standard of protection – beyond the requirements of our industry. As a leading professional outdoor organisation, safety is foremost throughout every program facilitated at Somerset. All programs are supported by immense infrastructure and facilities and over 30 years of camping and programming experience. Each group is staffed by a tertiary qualified, professional outdoor leader and supported by a team of logistics, hospitality, and operational staff. Please refer to Our Staff for further details. Somerset holds the required and relevant certifications and licences for our operation. These, in conjunction with our own internal policies, maintain the validation and safety of our programs. We are an organisation accredited by National Accommodation, Recreation and Tourism Accreditation (NARTA), involving a process of external expert audit, to ensure our programs are run at industry best-practice level. We are a member of the Outdoor Recreation Industry Council of NSW (ORIC). We hold a National Parks Premium 10year Eco Pass licence. We maintain our own licenced VHF digital radio network across the program area to ensure regular communications for all groups in the field and emergency contact if required. This radio network is supplemented by the use of landline, satellite and mobile phones and GPS locator spot trackers as required. We refer to the NSW Adventure Activity Standards for industry best practice, guidelines and ratios, and maintenance in relation to activities such as roping, canoeing, and bushwalking. Our canoes are registered, inspected and maintained according to the requirements of the Roads and Maritime Services. Our vehicles and trailers are registered, inspected and maintained according to the requirements of the Roads and Maritime Services. We maintain a Safety Management Plan (risk assessment), Bushfire Index Management Plan and Incident Response Plan, as well as our own standard operating procedures and protocols, drinking water management plan. We regularly evaluate, review and update our internal policies and documents. Fun and adventure create big appetites. We recognise the need for fresh, tasty and filling food to keep students energised and satisfy every adventurer. Our Support Services team ensures that all gear, food and each group is where it needs to be! 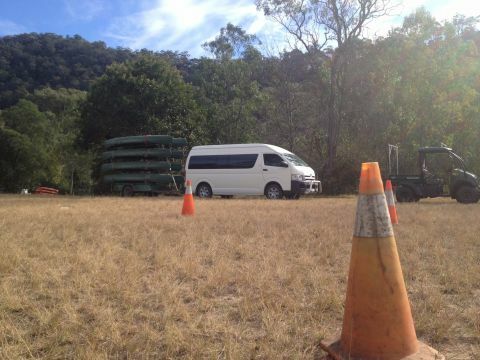 With our own extensive fleet of vehicles and trailers, the Logistics Team transports camp equipment, food, students and their gear to and from various campsites as well as canoe and hike start and finish points. On our expedition programs, actual support can be kept to a minimum to highlight the self-reliant journey, however is on-call for back-up support and emergencies. 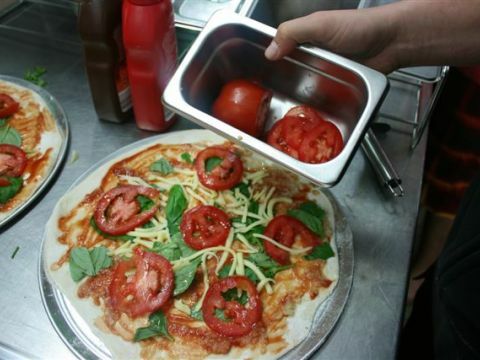 Somerset recognises the need for fresh, tasty and filling food to keep students energised and satisfied at camp. We provide all meals, snacks, desserts and suppers for the duration of the program from morning tea on the first day to a farewell lunch as students depart. We provide plentiful and nutritous meals with an abundance of fresh meat, fruit and vegetables and bread. We source our fresh foods from local businesses and have deliveries several times per week. At Somerset we value, and actively foster, student participation in meal preparation, cooking and cleanup. This involvement is essential, not only for group cohesion and responsibility, but for skill development and as an opportunity to highlight that food in a camp environment is fun! 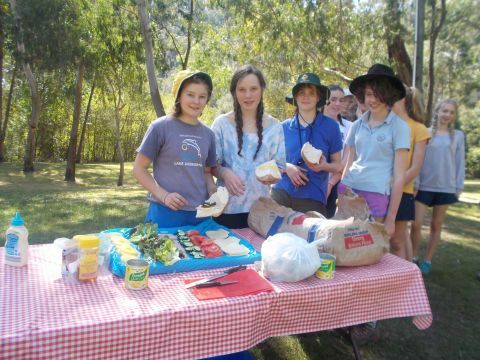 Food is delivered to a campsite in group quantities and is prepared by the Group Leader with assistance from the Teacher and group members - Sausages and Vegies, Nachos topped with salad, Chicken Korma with vegies and rice, Pancakes, Bacon, Picnic Lunches with crusty cobs, cold meats, cheese and salad fillings, hot chocolate and marshmallows. Meal Activities - students are in Teams and must work together to produce a delicious and satisfying meal - Wood Fired Pizzas and My Kampsite Rules. Students are served fully prepared meals in our dining hall - chicken burgers with salad fillings, bolognaise with garlic bread, croissants and fruit salad. Students carry expedition food and stoves to cook and eat their meals at our expedition campsites - Examples include wraps with tuna, cheese sticks, capsicum, lightweight freeze-dried meals, trail mix.